The diesel engine – a nineteenth century invention – remains the world’s most widely used engine, but does it have a future? The diesel engine was designed more than a century ago, yet it remains the engine that, more than other, powers our 21st century world. The diesel is used everywhere from mines, cars, trains, ships and lorries, yet it has changed little since it was invented by Rudolf Diesel in 1892. There are many remarkable aspects to the history and development of the diesel, still the world’s favourite engine. Diesel engines are in the news because it is a diesel engine that is at the heart of the Volkswagen pollution emissions scandal, which is still playing out. The background to the scandal is the tightening restrictions by the US, the European Union and others on emissions of certain gases in cars. There is a dual demand on car manufacturers to produce cars that perform well, run smoothly, are fuel efficient, and ‘clean and green’. Car manufactures must deliver both, because if they don’t, they their cars will be taxed heavily, and people don’t want to buy ‘dirty’ cars. The problem is, according to some engineers, that our law-makers were essentially asking VW and the other car makers to do the impossible. We can’t have our cake and eat it, the engineers say. We can either have clean, green, fuel efficient cars, or we can have high performing cars, we can’t have both. People buy diesel cars in particular, because they want to buy a car that is cheaper to run, reliable, fuel efficient, and performs well. The noose has been tightening around the necks of VW and others because the regulations on emissions have been steadily tightening. At some point, a decision was obviously made that the only option – faced with the impossible – was to cheat the regulator’s tests. It was relatively easy to cheat the tests, as EPA car tests in the US are standard, and done on machines. Who else is doing this we must ask? Diesels work by converting chemical energy in diesel fuel into mechanical energy which is put to use by the engine. The energy in diesel is released following an uncontrolled explosion when it comes into contact with very hot, pressurised air. This ignition, or explosion occurs when diesel, which has first been atomised is sprayed by fuel injection into the compressed air. This creates energy which initially drives a linear motion, up and down, of a piston, which is transferred to a rotary motion of the crankshaft. Because the diesel ignition is uncontrolled, it is not smooth like a petrol engine, and the cylinders must be contained inside a heavy engine block. The energy from the ignition pushes the piston down, inlet valves open, and fresh air is allowed into the engine from the outside. The diesel engine effectively takes an ‘in breath’. When the energy is expended, the piston moves up again, the ‘second stroke’ of the engine, and the fresh air is compressed. The inlet and exhaust valves are closed so that the air cannot escape and is compressed. The temperature and pressure of the air rise to a value that is higher than the self-ignition value of the diesel. This means the diesel ignites immediately on contact with the pressurised air. The air is circulated by a bowl (during the compression stroke) at the top of the piston which ensures an even spread of fuel. Each engine cycle requires two strokes, breath in, and breath out if you like. However, many diesel engines are four stroke so that the energy produced is more evenly spread, and there is less shaking. There are different amounts of energy produced by the uncontrolled explosion of diesel via each stroke. The more strokes, the more even the energy spread. In a four-cylinder engine, with 4 driving pistons, there can be 4 power strokes happening at the same time, so the power stroke is always present in the engine. The more cylinders a diesel engine has, the smoother it will operate. A heavy flywheel (timing belt) also helps to smooth out non uniformity of power, as do various weights applied to the crank shaft. The operation of a diesel engine is all about producing high temperature and high pressure air continuously. 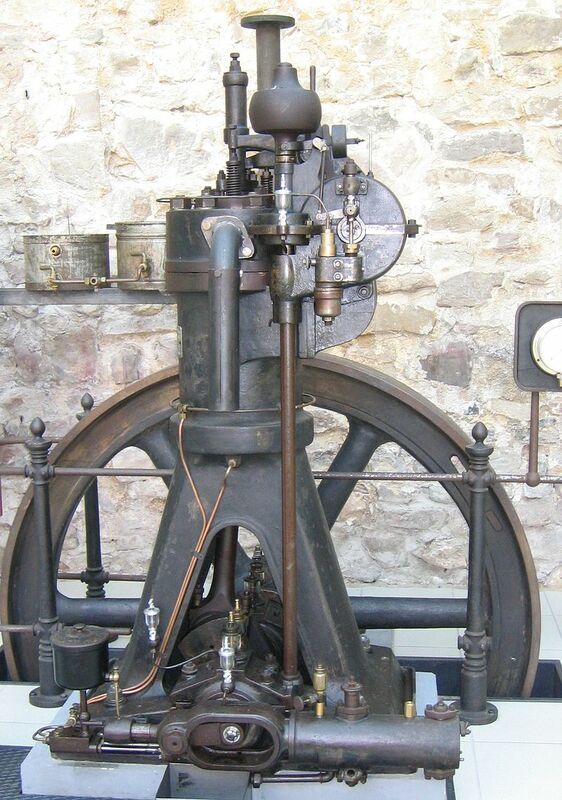 It was invented by German engineer Rudolf Diesel, who took out patents on a diesel engine in 1892 and 1993. 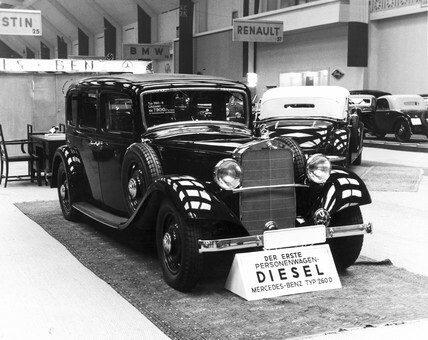 Diesel became famous and successful very quickly, as his engines went into production all around the world. In 1897 the American brewery magnate Adolphus Busch acquired a license to make the machine for about one million marks, or about $50,000. Soon the Busch Diesel engines were being built in the USA and Canada for locomotives, factories and ships. Diesel now became primarily a salesman for his engine, and he moved with family moved into a palatial mansion in Munich. From there, he spent much of his time taking legal action to prevent patent applications, by other engineers seeking to improve on his engine. This cost him a lot of time and nervous energy. It was mostly a waste of his effort, as he wasn’t usually successful. in court. Overworked, stressed by patent trials, and pressurised by his family’s expensive lifestyle, Diesel got sick, and his fortune was gobbled up, without his knowledge. When he became aware that his fortune was gone, it took it very badly. In 1913, Rudolf Diesel vanished from the ferry, the S.S. Dresden, as she sailed to England. The date of his death is marked in his diary by a cross. Suggests Diesel chose to take his own life by suicide. Diesel fuel is far less refined than petrol. It is a mixture of hydrocarbon molecules produced by the distillation of crude oil. Petrol is far more explosive, and will light instantly when a match is put to it. Petrol is volatile even at room temperature and lets off fumes, and the vapour is flammable, so it is a dangerous fuel to have in an engine. Diesel engines are based on a design where fuel is atomised and sprayed onto a compressed chamber of air, which results in small explosions. This provides a lot of power potentially, but it is also means that the engine can be subject to shaking, and needs a hard body to contain it. The petrol in petrol engines are ignited by spark plugs which light a fuel that has been highly refined and premixed before entering the engine. The petrol engine, because it uses a more refined fuel, and because its ignition is less explosive, tend to be smoother running than diesel. Both engines convert chemical energy present in the fuel into mechanical energy, which does useful work in driving the pistons up and down. Diesel engines are better at converting more chemical energy into useful work, so they are said to be more efficient engines with less energy loss. So, in most petrol engines, petrol and fuel are pre-mixed before being compressed. This was done in the ‘old days’ by a carburetor, but in cars today there is electronically controlled fuel injection. In a diesel engine, the fuel is injected into very hot air, which has been compressed, at the end of a compression ‘stroke’ and self ignites. Diesel is a thicker, heavier fuel than petrol, which works best in an engine going at a constant speed, and can solidify at low temperatures. Why is the diesel so important ? Diesel is crucial because it is the workhorse of industry. Diesel engines are reliable, powerful and safe, as they don’t use flammable fuel. They are used everywhere, particularly where a lot of power is required such as trains, boats, lorries, submarines and tractors. They are also used in cars, where they are touted to provide power, performance, as well as low emissions of pollutants. No other engine still today is so versatile and is used in so many applications. The vast majority of the world’s commercial, industrial , agricultural, mining and military vehicles are diesel powered. 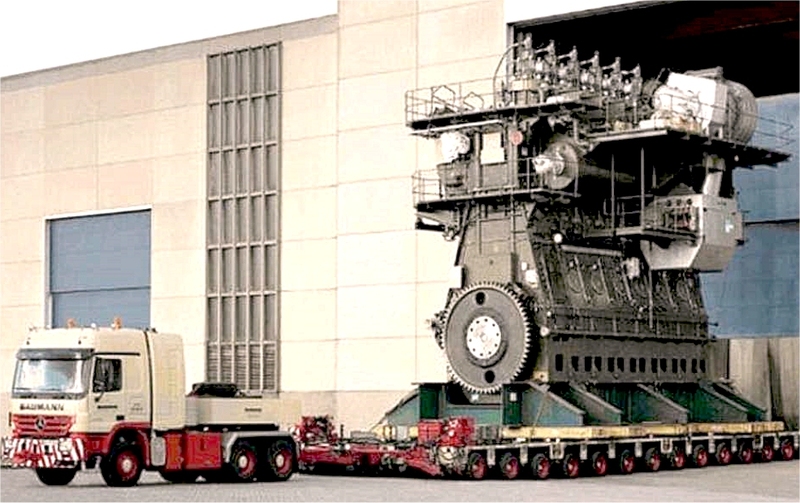 It is remarkable that a 19th century invention is still the most important engine in the world in the 21st century. Diesel engines power the world. What kind of pollutants do diesel engines emit? Diesel exhaust emissions contain toxic air contaminants some of which listed as cancer-causing. 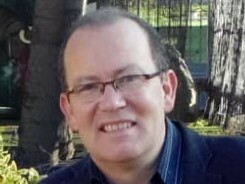 Diesel cars, emit around 20 times more so called NOx (nitrogen oxide and nitrogen dioxide) as a result of their combustion design, than petrol engines, as well as small amounts carbon monoxides. NOx is formed when nitrogen and oxygen from the air are combined – under heat and pressure. More heat and pressure gives you more NOx. The US Environmental Protection Agency (EPA) says that even short term exposures to NO2, of 30 minutes, can result in airway inflammation in healthy people, and worse effects for those with asthma. Exposure to NO2 linked with increased visits to A&E for respiratory issues. NO and NO2 are together often referred to as NOx and both are potentially harmful. People living near roadways have been shown exposed to 30 to 100% higher concentrations of NO2 than those living away from roads, the US EPA says. When nitric oxides are subject to heat and sunlight they react with volatile organic compounds to produce Ozone, which is also linked with all kinds of respiratory problems. What did the ‘real world’ tests on VW diesels show up? 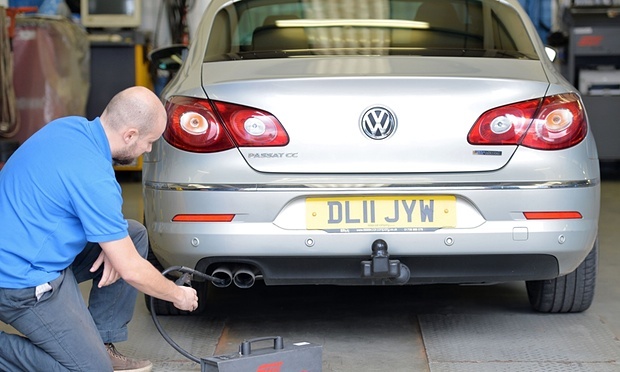 The hidden damage from these 11 million VW vehicles affected could equate to all of the UK’s NOx emissions from all power stations, vehicles, industry and agriculture. The EPA tests have known practices and profiles. In many cases, the test vehicles are put on rollers and run at a certain speed for a certain time, then at another known speed for another known period. The car’s central computer can detect whether inputs match those expected in test conditions. A non governmental agency, the International Council on Clean Transportation (ICCT), performed independent – and crucially on-road – emissions tests, on the VW Passat, the VW Jetta, and a BMW X5. The Jetta was found to be emitting up to 35 times the allowable limit of nitrogen oxide and the Passat up to 20 times. These tests followed five routes on similar lines to the EPA simulations: highway, urban, suburban and rural up/downhill driving. The emissions performance of the Volkswagen, but not the BMW, cars was so much worse than expectations that the ICCT ran further tests on a dynamometer. In these circumstances, the cars passed with flying colours. It was at this point that the ICCT contacted the EPA. How has the engine improved over the years? Before World War 1, submarines were built with diesel engines, which were not as flammable and dangerous to the submariners. After World War 1, where the diesel was widely used, the engine was adapted for an increasing number of peacetime usages. The first big improvement was the move away from the cumbersome air blast injection system for diesels.The fact that a large compressor had to be attached to the engine prevented it being used in many situations. Then in the 1920s, engineers developed. something called the Jerk type pump. This pump measured out a precise amount of fuel to be delivered as a spray to the engine at the precise moment it was required. This fuel injection technology got rid of the need for an air compressor, and allowed for smaller, lighter diesels to be built and widely used. Only on the roads, was the diesel engine slow to come in, and it was not until 1924, that MAN and Daimler Benz built the first diesel lorry. It took even longer, until 1935, until the first diesel powered car appeared, the Mercedes Benz 260D. The traditional design for the diesel engine was too noisy and heavy for road vehicles. However, in the late 20 century that engineers gave diesel cars better ‘road manners’. Achieving this, however, was, it the expense of the environment. The more efficient combustion of diesel engines meant that the soot particles in diesel car exhausts became smaller and smaller, and more harmful to health since they could be inhaled more easily. Engineers came up with a particle filter under the car, which collects and burns the soot particles. This type of filter is used in race cars and light aircraft. The diesel became the engine of choice for military equipment on the ground and at sea during World War 11. After the war, it was adapted for use in construction machinery, large tractors, most large trucks and buses. Ultra-reliable diesel engines came into use in hospitals, telephone exchanges, and airports to provide power during power outages. What happens if I put gasoline into a diesel engine? Diesel in a gasoline engine will not even cause ‘firing’ because diesel is less volatile and will not mix with the air properly-sparking will not initiate combustion. But, if you put gasoline in a diesel engine, you are putting a highly volatile fuel into a chamber of highly compressed and hot air. This will lead to detonations, rather than smooth combustion, and eventually the engine components can get damaged! Why is it so hard to develop clean diesel engines? Diesel fuel is full of long hydrocarbon chains, and a gallon of diesel fuel contains more energy than a gallon of petrol. The problem is that when diesel is burned in an uncontrollable way it is hard to control the waste products, which often include sulphur. The old diesel cars, such as the 1979 Oldsmobile in the US spewed lots of tiny sulphur-containing particles into the air. These days diesel car makers are good at trapping this kind of emission and the use of ultra-low sulphur diesel fuel helps. However, it has proved more difficult for car makers to deal with the NOx gases, NO, NO2, and NO3. These form at naturally at high temperatures, which are essential for a diesel engine to work. The react with sunlight and form ozone, which is O3. Ozone is an irritant and bad for human health. It makes our yes water, our throat hurt, worsens asthma and causes heart problems too. Diesel cars produce far more NOx than petrol cars. The problem for engineers is that the temperatures and pressures under which a diesel engine runs best (in terms of pep and fuel efficiency) are also the conditions which will convert the maximum amount of oxygen and nitrogen into NOx. With spontaneous ignition of diesel it’s not easy to keep track of what compounds have formed, and then to clean them up. Also, it should be noted that in Europe, where about half of all cars run on diesel, there is less regulatory focus on NOx than greenhouse gases. Does the Diesel engine have a future? Many engineers believe the diesel has a bright future. It’s an engine that can run on peanut oil, and other biodiesels as Diesel himself showed. There is no cheaper or more environmentally form of power today than combining a diesel engine with plant oil. 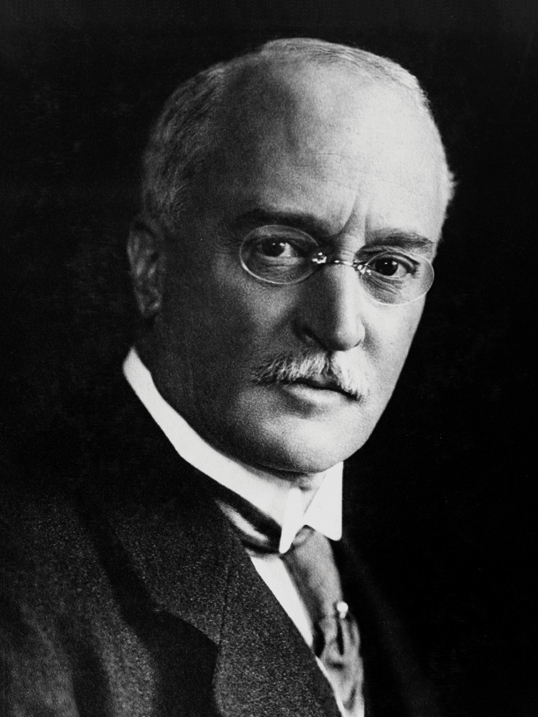 If eco fuels catch on, it will be the final fulfillment of Rudolf Diesel’s dream. I love reading (and learning) about diesels. Thanks for this. I remember that my love for huge diesel engine trucks began when I got to watch and later help my grandfather work on his farm truck and tractor. Wow, great memories! Now, I’ve been able to turn my hobby into a growing business. If you’re ever in the Tampa area look me up and stop by our shop. Thanks Ryan. I’ll certainly do that. I occasionally visit the American south, and always love doing so.